If you trust someone else to hold your virtual currencies and something goes wrong, that company may not offer you the kind of help you expect from a bank or debit or credit card provider. We think dogecoin is a great community. It’s used in sites like reddit, it’s much higher volume than bitcoin tipping and there’s really no good hosted wallet for dogecoin. We put this together quickly as a result of listening to our customers. It’s another way for customers to have a relationship with Dell. Now that Coinbase’s API is being used on Google, anyone who uses Google can see a graph of current and past bitcoin values compared to US dollars. They can also use Google’s currency converter to determine how many dollars equal how many bitcoin, and vice versa. By partnering with GoCoin, our subscribers get extra privacy, and HUSTLER stays ahead of the curve by accepting new digital currencies. This bill makes clarifying changes to current law to ensure that various forms of alternative currency such as digital currency, points, coupons, or other objects of monetary value do not violate the law when those methods are used for the purchase of goods and services or the transmission of payments. U.S. Marshalls prepare to auction 30,000 Bitcoins seized from Silk Road founder Ross Ulbricht. Potential bidders must register and make a refundable deposit of $200,000 for the auction, scheduled for June 27. Sources tell the Post that Andreessen is competing with Nasdaq to create the first regulated Bitcoin exchange. Andreessen has reportedly reached out to the NY Department of Financial Exchange for more information on the upcoming rules. Andreessen declines to comment on the reports. In a last minute US government decision, former Bitcoin Foundation member Charlie Shrem is forbidden from speaking at the Bitcoin in the Beltway conference, due to his indictment for a $1 million dollar money laundering offense. In an interview on CNBC Donahoe says that PayPal plans to start dealing in Bitcoins and other digital currencies soon. I’m not buying it as an investment. I’m buying it to understand how it can be used. I think there are two sides of it, the investment side and the digital currency side. I’m more interested in the digital currency side about how you and I can exchange value seamlessly using technology. Coinjar is the first bitcoin app to re-emerge on the iTunes App Store after Apple revises its policy regarding the virtual currency. Currently, Coinjar’s app is only functional in the UK and Australia. 50 Cent is the first to accept bitcoin as payment for an album. Payments will be processed by Bitpay through 50’s Shopify store. Sveriges Riksbank publishes a report addressing the advantages and disadvantages of Bitcoin, focusing on a number of economic and social benefits of the system. Virtual currency is one of many innovations on the Swedish payment market. it, like other innovations, is essentially positive, as it can contribute to meeting new payment needs and to making payments cheaper and more secure. Bitcoin potentially could be more impactful because being able to donate 50 cents to someone across the world has more impact than potentially sharing a picture,” he explains. “But they’re very different. Facebook is like the internet – a large company and an application. Bitcoin is a protocol for decentralisation, so you could build a decentralised company on top of it, a stock market. It’s an internet of ownership, so it’s not quite a direct comparison.” In the same way Facebook encouraged us to be socially open, bitcoin encourages us to be financially open. If a new technology comes out and the incumbent doesn’t evolve, then they generally lose. When it gets to tipping point it’s usually not a long fight. It’s a category killer. Startup developer Eaze introduces Nod to Pay, an application that allows consumers to pay for goods in Bitcoins with Google Glass. Users add their Bitcoin wallet information to the application and scan a QR code from the merchant which displays the cost on their display. Then two nods of the head send the payment to the seller’s Bitcoin wallet. Andresen steps down as lead developer for Bitcoin Foundation today. His responsibilities of maintaining core code for the Bitcoin system were given to Wladimir van der Laan, a dutch computer scientist with a PhD in computer graphics. Andresen will continue his role as Chief Scientist of Bitcoin Foundation and said he will enjoy being able to concentrate more on protocol-level Bitcoin issues. I enjoy coding, and I think I’ll be most effective as Chief Scientist if I don’t lose touch with engineering reality and make the mistake of building huge, beautiful, theoretical castles that exist only as whitepapers. 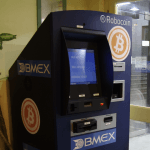 I am proud that the embassy has made the first Bitcoin vending machine available in Israel. This is part of our mission, to make Bitcoins accessible to the general public. The Reserve Bank of India warns citizens that virtual currencies (VCs) including Bitcoins, Dogecoins, and Litecoins could be dangerous. The creation, trading or usage of VCs including Bitcoins, as a medium for payment are not authorised by any central bank or monetary authority. No regulatory approvals, registration or authorisation is stated to have been obtained by the entities concerned for carrying on such activities. As such, they may pose several risks to their users. We believe Bitcoin could become a major means of payment for e-commerce and may emerge as a serious competitor to traditional money-transfer providers. A little over two years ago I made a bet for $10,000 that bitcoin would outperform gold, silver, the US stock market and the US dollar by more than one hundred times over the next two years…I’m here today to say that I was wrong, In reality it took about two years and two months for bitcoin to outperform everything else by more than a hundred times. Over that time, gold and silver are down, the stock market is up about 45 per cent, but Bitcoin is up more than 15,000 per cent, or more than three hundred times everything else. Bitcoin: $1,000,000 Bet Final Update!